Stationery Brand from Hiroshima Japan. we are making collaborative works with designers. we will shape your design. Stationary in our daily lives, not to be used by ourselves alone, but hopefully to be uses as a means of communication, put a smile on some ones face and be playful. Everyday we make our stationary hoping that it will put a big round smile on your face. The company was started in 1973 and focused mainly on labels. 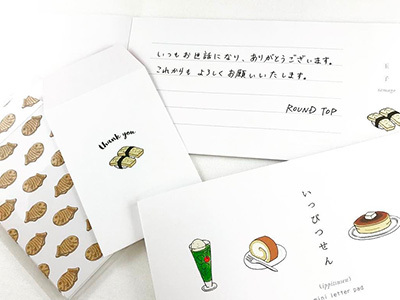 However, in March 2013 the company launched its own brand, “Round Top”, both within Japan and internationally. Stickers, Masking Tape, Wall Stickers and other stationary focused items. 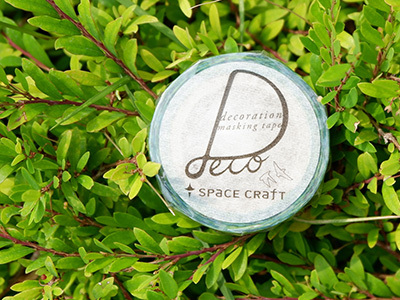 From the time of it founding, Round Top has established many collaborations with stationary designers. Both the designers and us are dedicated to creating products that satisfy our customer’s needs. We as a company strive to be a gateway for the designers of the stationary community. As a company we have always focused on getting our products to our customers through physical store locations. However, in recent years we feel that this has proven insufficient. Hence, we have opted to adopt a “business to customer” online store to better provide for the needs of our customers. 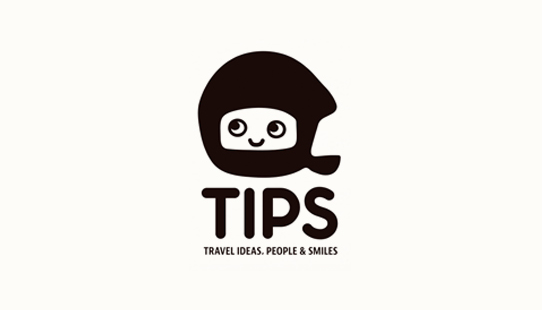 TIPS is an IC4DESIGN brand with much of their focus around the Hiroshima, Japan area. Started in 2006, IC4DESIGN’s headquarters are located in Hiroshima, Japan and the centered around Hirofumi Kamigaki’s designs and illustrations. 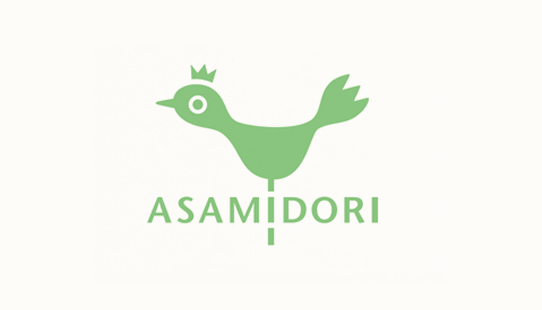 ASAMIDORI is a brand by Toru Asai based in Yokohama Japan. Born in Sapporo, now living Yokohama. His work consists of general merchandise design, advertisements, graphic designer, art director, and publishing illustrator. 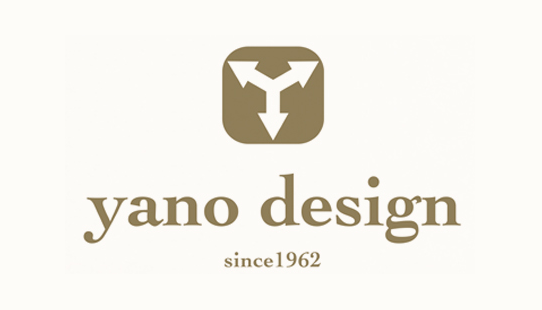 YANO DESIGN is a brand by Yano Design office based out of Okayama Japan. Created in 1962, Yano Design Office focused mainly on graphic design and local advertisements. 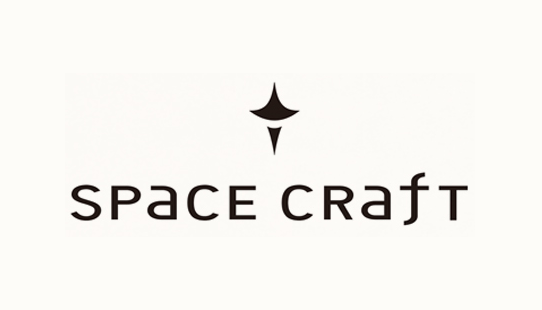 His hand drawn soft water color and colored pencil style is his distinct trademark.Space Craft is brand by Yoshinobu Masada and is based in Osaka Japan. 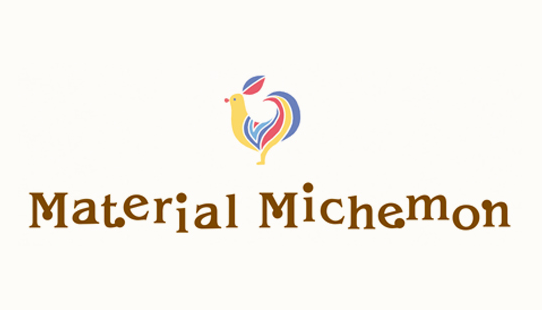 Material Michemon a brand by Michie Tanaka and is based in Tokyo. Born in Aichi Prefecture and graduated from Nagoya Zokei University Art and Design. 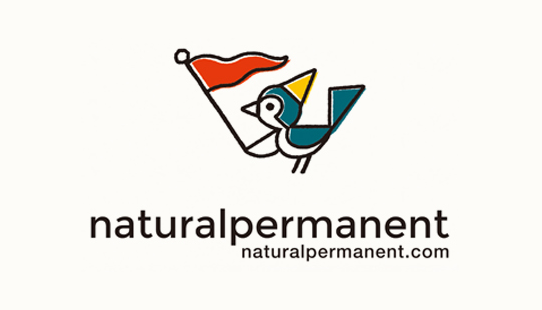 Natural Permanent is a brand by Shusuke Satake based in the Kansai area. Born in Makikata City, Osaka in 1981, he now resides in Kobe City, Gunma Prefecture. Azzurro Mattina is based in the Kansai area and was created by Yuki Sugiura. Born in Shiga Prefecture, now resides in Osaka. Graduated from the illustration department of the Osaka Design Vocational School. 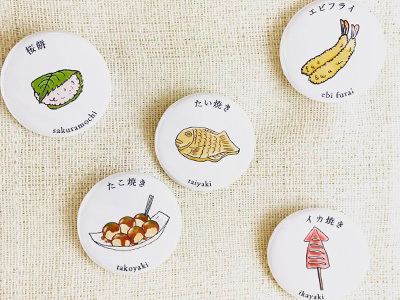 HIRANOTOSHIYUKI is a brand by Toshiyuki Hirano and is based in the Kanto area.Born in Hiroshima 1984, he now resides in Tokyo.He main line of work consists of pencil case, advertisement, general merchandise and web design. 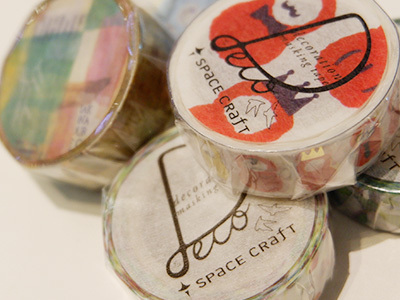 LittleAnimal is a brand by Ratako (Yumiko Akiyasu) and is based in the Kanto area. Born in Osaka and now resides in Tokyo. Graduated from the Kyoto Saga University of Arts VD2 Course. MiriKulo:rer is based in Sweden and is by Chika Kiuchi.She currently resides in Sweden as a top figure skater, but at the same time produces artwork as MiriKulo:rer. Based in both Tokyo and Paris, Tsuyoshi HIRANO is a brand by Mr. Tsuyoshi Hirano. Currently he has work studios in both Tokyo and Paris. and a few of the world-renowned brands that he has worked with in the past. 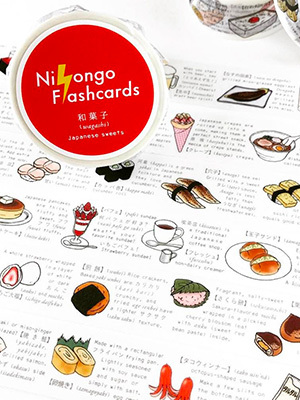 Nihongo Flashcards is by the brand POMPETTE, created by Yuko Wataya and Yuko Kuwata.Pompette in French means “tipsy”. The creators wanted to make a brand that was light hearted and playful and so POMPETTE was born. Chamil Garden is a brand by the stamp artist 夏米花園 (summer rice flower garden) who currently works at Small Stationary Company (小徑文化社) based in Taiwan.Each stamp is slowly and delicately carved in her unique style. Liang Feng Watercolor is a brand based in Taiwan by Small Stationary Company’s (小徑文化) watercolor artist Liang Feng. The paintings have a very soft touch and the illustrations have charmed many of the people of Taiwan. We provide various designs of Stickers, Masking Tape, Wall Stickers and other stationary focused items for you to enjoy. 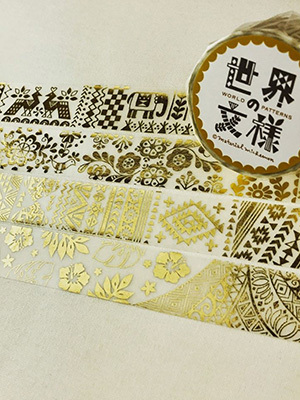 Our products are made of high-quality materials from Japan. Each item produces under Japanese’s standard to keep the “Quality” for our customers. Share Your Design to world. Create your original artwork with ROUND TOP and share it to your family, friends and the world. Let’s get creative and create something unique! Round Top is a brand brought about by the collaboration betweenpopular designers and production company Maruten Inc.